Start building your courage, we are in for a ride ahead of the June 23rd referendum date in the United Kingdom, when British citizens will vote on whether or not to remain part of the European Union. 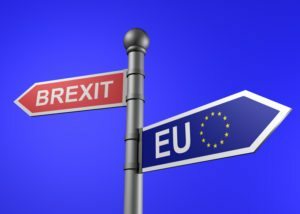 You can expect the markets to move downward a few percentage points leading to the vote, with polls indicating that the race is tight, and a deeper dip if the British vote in favour of leaving the EU. Should you be spooked by the Brexit Boogeyman? Should we be taking some actions now to mitigate this risk? The June 23rd referendum clearly represents uncertainty for markets, businesses and the central bank. Independent economists say a vote to leave the EU could cause a drop in the pound of as much as 20% and push the economy back into recession. Manulife Asset Management’s Chief Economist, Megan Greene believes that the UK’s best and most likely path forward is to remain in the EU. “By doing so, it can try to reform the EU from within”. She explains why the alternatives to EU membership would all leave the UK less well-off and how a Brexit could potentially lead to a weaker pound sterling as well as looser monetary policies from the Bank of England. Interestingly, Ms Greene also notes that “…while Brexit may not be in the UK’s best interest, it might not be the unmitigated disaster that some fear”. If Brexit occurs, the UK will negotiate some agreement that is mutually beneficial for the UK and the EU. An agreement will be eventually reached, potentially, similar to the successful agreements with Sweden and Norway. For investments however, the best buying opportunities come from trading against an emotional crowd. “This may be a buyable dip for those who have the courage to be greedy when others are fearful. A week of two after the Brexit vote, the unknowns will have been ironed out and we will move forward with a plan.” Says Jani Ziedins from Cracked Market. Capital Economics has been commissioned by Woodford Investment Management to examine the United Kingdom’s relationship with Europe and the impact of ‘Brexit’ on the British economy. Here is the full 47 pages report which covers the economic impacts of the most important elements of the Brexit debate. Don’t let this uncertainty rattle your long-term focus. Remain rational and avoid making risky bets. Staying the course with your current long-term quality investments – within a balanced portfolio – is always the safest course of action. If you are in your saving years and have funds to invest, this dip may prove to be a great opportunity to enhance your returns.